We have just returned from an Asian vacation, Beijing, China was our first stop. 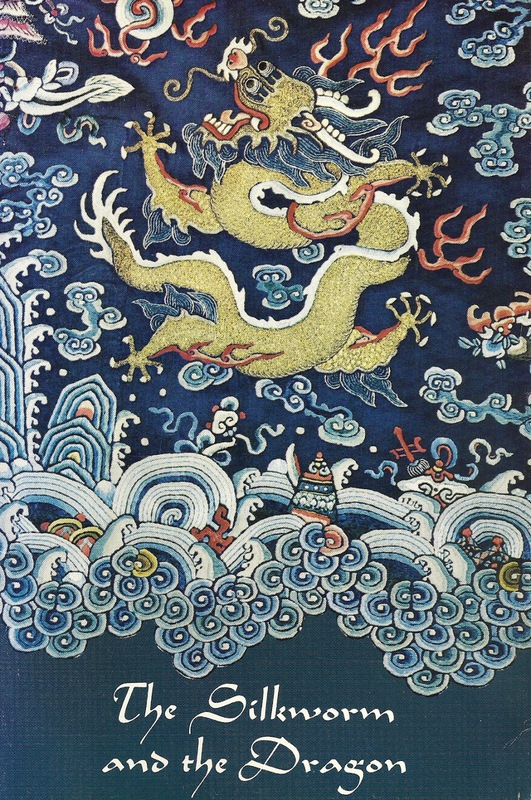 When one interested in textiles thinks of China, one thinks of silk. In the next three weeks we will look at the silk industry in China from its inception through its processing and finally my discovery of a great, modern silk product. 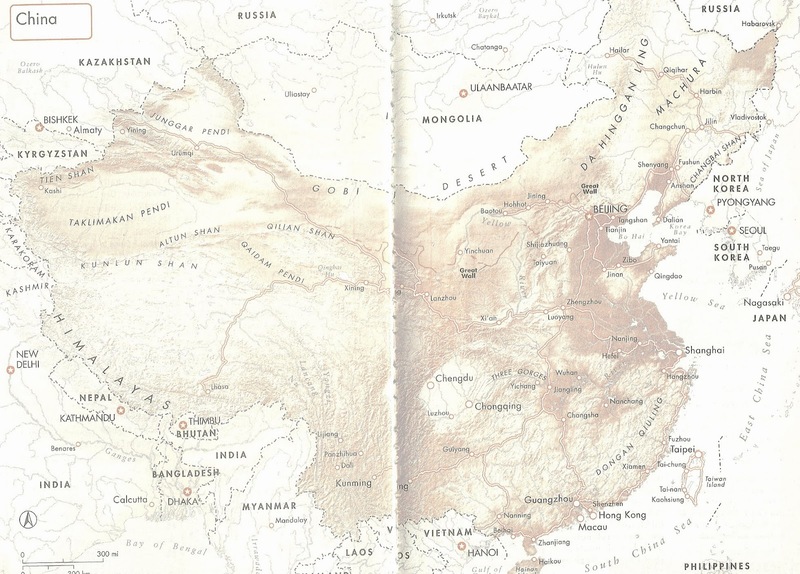 The Silk Road, that magical journey, which brought spices, gems and silk to Europe, was an arduous journey of over 5,000 miles from the Mediterranean to China. The riches were beyond imagination and the greatest of these riches was silk. The term “silk road”. Seidenstrasse, was coined by a German explorer named Baron Ferdinand von Richtofen in 1877. 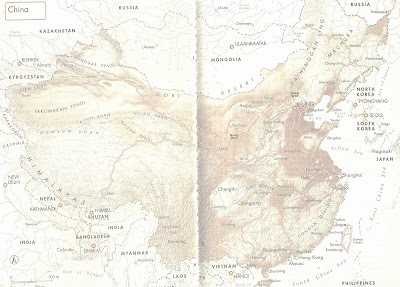 Most maps depict the Silk Road as departing from Xi’an, China although most of China’s silk was produced further south. Xi’an was the capital of China from 206 BCE to 25CE during the Han dynasty, when Chinese emperors first expressed an interest in the lands beyond their western frontiers and when Rome was equally interested in acquiring Chinese silks. Silk was imported to Rome both as dyed thread and woven cloth, which was often unwoven to be rewoven into sheer fabrics that were more to Roman tastes. The earliest excavated silk is a group of ribbons, threads and woven fragments, all dyed red, dated to 3,000BCE. 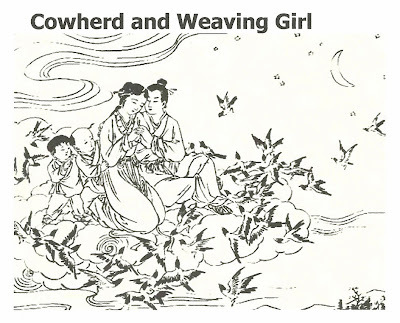 Archeological remains reveal that already in Shang times(1600-1050 BCE) Chinese were making fine silk damasks and elaborate silk embroideries. Silk fabric was used to pay taxes and salaries and to purchase peace in the coursed of diplomatic negotiations. Repeated invasions of Mongols from the north forced China to begin paying raiders quantities of silk, as much as 450,000 pieces of silk per year to keep them at bay. The state was in control of the silk industry. Emperors set up weaving and embroidery mills to satisfy the needs of their courts. These institutions were managed by appointees of the emperor, whose mission was to provide the raw materials, pay the craftsmen and supervise the distribution of the finished products. 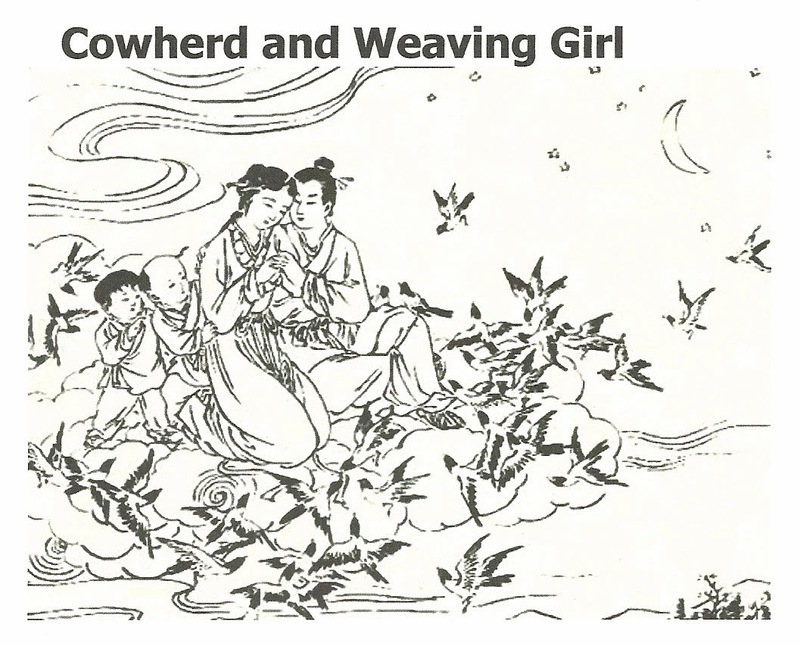 In legendary periods the thwarted love of the 2 deities- the male cowherd and the female weaver, who were allowed to meet 1 day a year, is a reminder of the Chinese division of the day’s work: men plow, women weave. The Weaver is the alpha star of Lyra constellation. She weaves all year round by the side of the Milky Way. On the opposite side is the Bootes constellation, tilling his fields and harnessed to the chariot of Ursa Major.